A charitable trust is a trust established for the dual purpose of donating to charity and providing for a non-charitable beneficiary (such as your children). When a charitable trust is used, the gift to charity is also referred to as a split-interest gift because the gift is split between a charitable beneficiary and a non-charitable beneficiary. HOW DO CHARITABLE TRUSTS WORK? In a charitable trust, one party (usually the non-charitable beneficiary) receives the first or lead interest in the trust property, and the second party (usually the charity) receives the remainder or second-in-line interest. What this means is that for a period of years or for life, the first party receives an income stream from the donated trust property in the form of annual payments, and thereafter the second party receives the remaining property in a lump sum. In the charitable trust arrangement, the charity’s right to enjoyment and possession of the gift is either delayed (when the non-charitable beneficiary has the first interest in the donated property) or limited by a period of years (when the charity has the first interest in the donated property). Ordinarily, this would mean no tax deductibility for your gift due to the general rule that a gift to charity must be immediate and unconditional in order for it to be deductible for income tax purposes. However, Congress has approved the tax deductibility of split-interest gifts to charity, as long as they are implemented as one of a number of special trusts created by Congress for this purpose. If you comply with all the requirements of such charitable trusts, you will receive federal income, gift, and estate tax benefits. In a charitable remainder annuity trust, or CRAT, the non-charitable beneficiary has the first interest, and the charitable beneficiary has the remainder interest in the trust property. The trust pays out a fixed amount of income to the non-charitable beneficiary every year (an annuity) for the term of the trust, and then the remaining assets pass to the charity. The charitable remainder unitrust, or CRUT, is similar to the CRAT in that the non-charitable beneficiary has the first interest, and the charitable beneficiary has the remainder interest. However, instead of paying out a fixed amount each year, a CRUT pays the non-charitable beneficiary a fluctuating amount each year, equal to a specified percentage of the total value of the trust assets for that year. At the end of the trust term, the remaining assets pass to charity. A pooled income fund is similar to a CRAT and CRUT in that the non-charitable beneficiary has the first interest, and the charity has the remainder interest. However, unlike these individual created trusts, a pooled income fund is established and managed by the charity. It consists of donations from several donors and operates similarly to a mutual fund. The charity pays the non-charitable beneficiary a fluctuating amount each year, depending on the total income of the fund for that year. At the end of the trust term, the remaining assets pass to the charity. A charitable lead trust is the reverse of the above-named trusts. In a charitable lead trust, the charity has the first or lead interest, and the non-charitable beneficiary has the remainder interest. The trust pays the charity a certain amount every year for the term of the trust (you can specify either the annuity or unitrust method), and then the remaining assets pass to the non-charitable beneficiary. 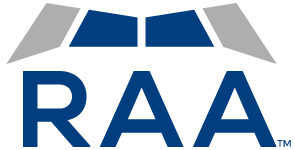 If you would like to learn more about the different types of charitable trusts, and how they may fit into your financial plan, request a complimentary consultation with RAA using the button below.